For this wreath you'll need scissors, origami paper the color you like, a small piece of ribbon, some florist wire and a wreath. I used a vine branch from my parents' garden and formed it into a circle, but you can choose any wreath you like. Maybe you have one left from Christmas that you would like to redecorate? 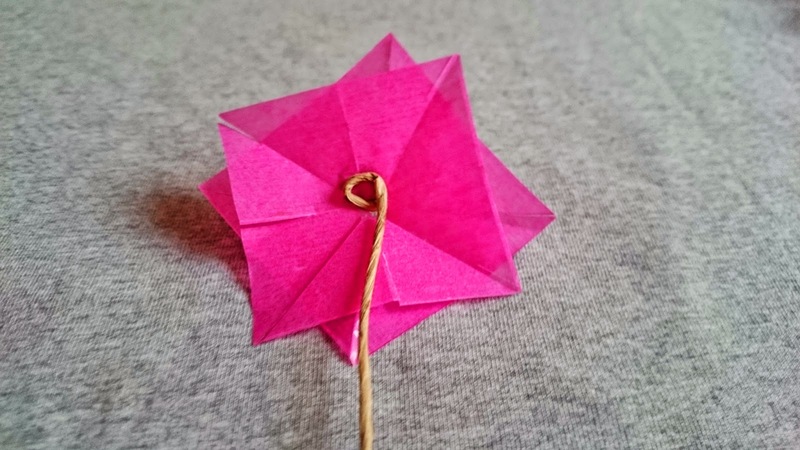 For the petals I cut out squares of 5x5cm. You'll need 2 squares for each flower. 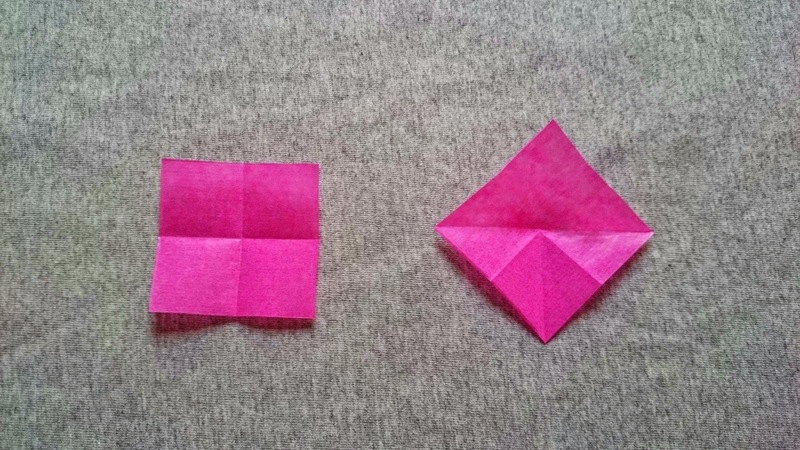 Start by folding the square in half. 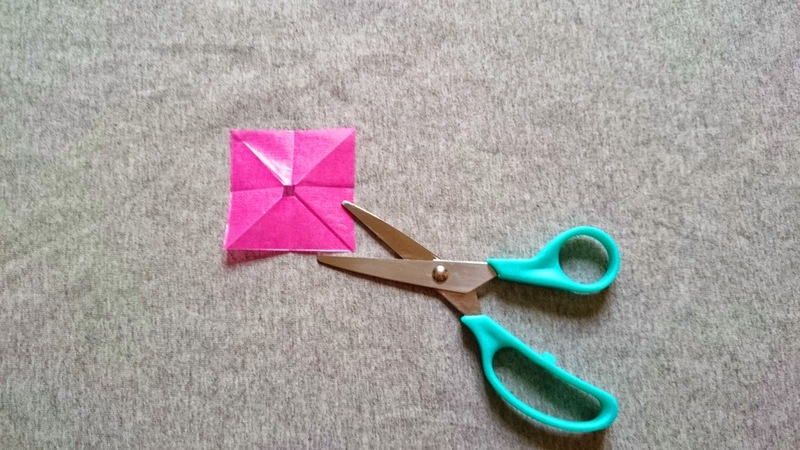 Then flip the sheet on the other side and fold the diagonals in half as well. 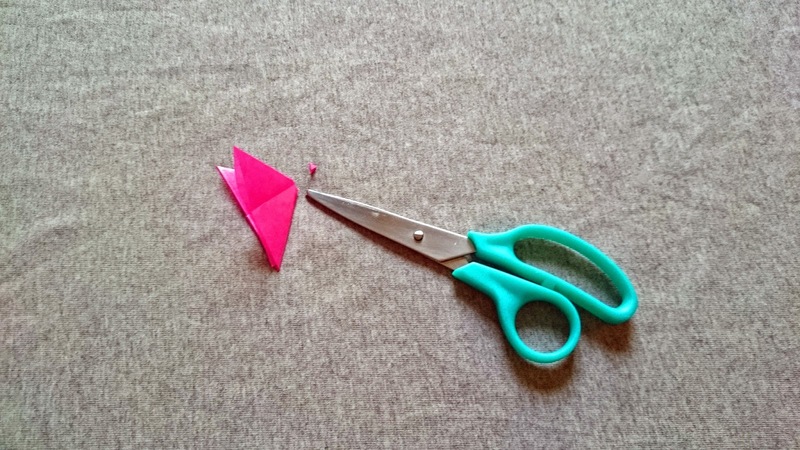 Fold the sheet together and cut of a very small piece of the top. Make a cut along all the folded lines, just about 0,5cm. 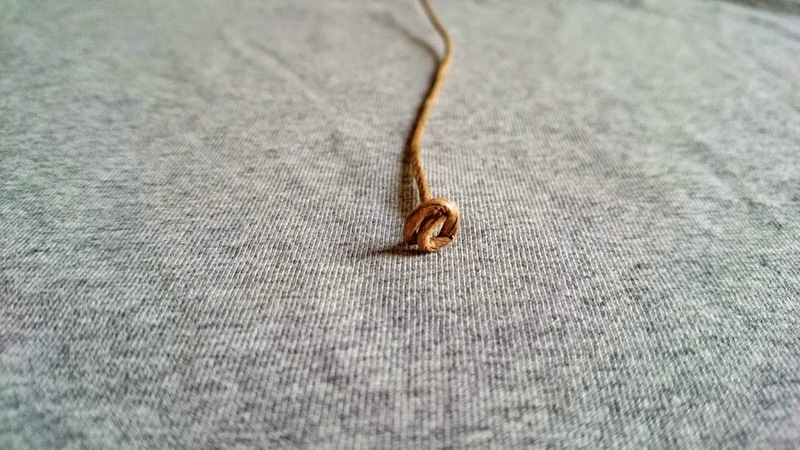 Twist one end of the florist wire into a circle. 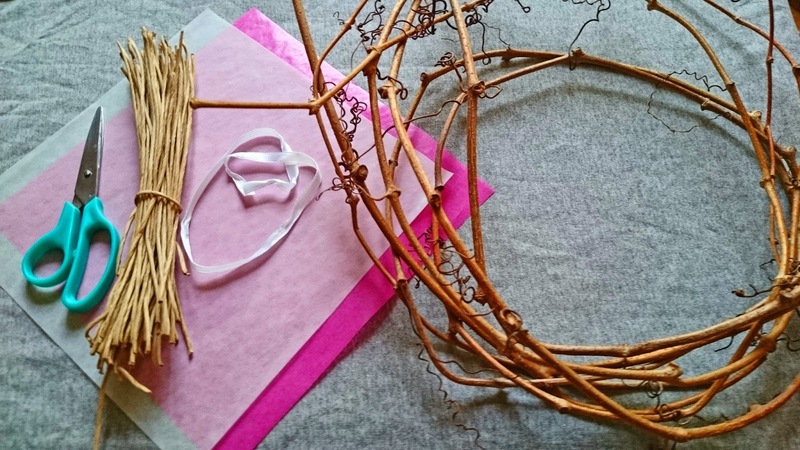 Put two sheets on one florist wire and make another circle at the back to hold the petals in place. 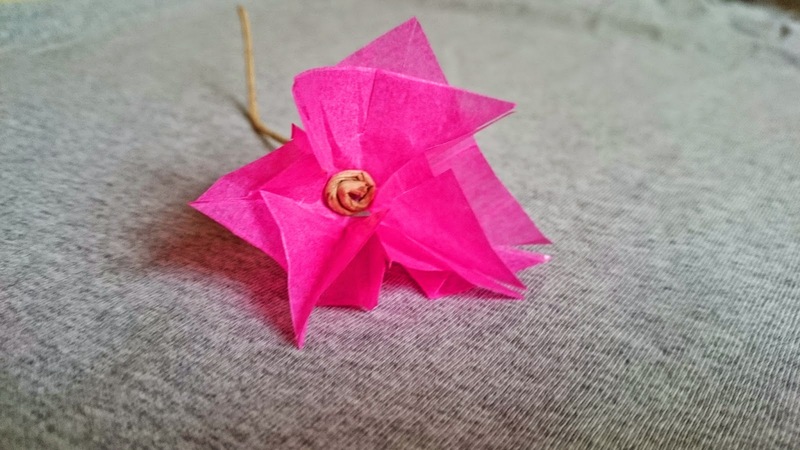 Gently press the flower together with your fingers. 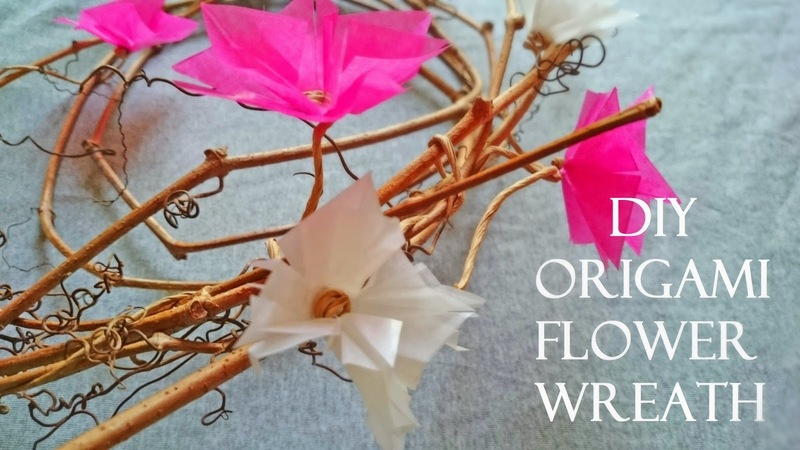 Go ahead and make as much origami flowers as you like and need for your wreath. 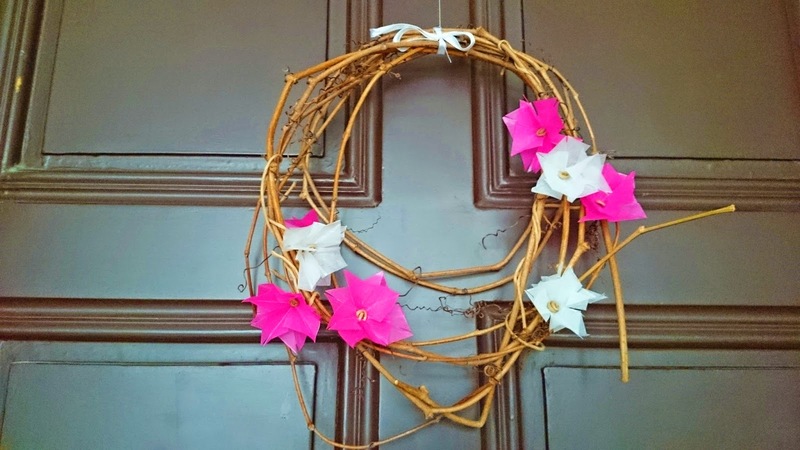 Attach the flowers to your wreath and you're done! Wasn't that easy? I feel much more welcomed at home with this colorful wreath up on our front door!